Treston Moore dances with his daughter, Lyric. 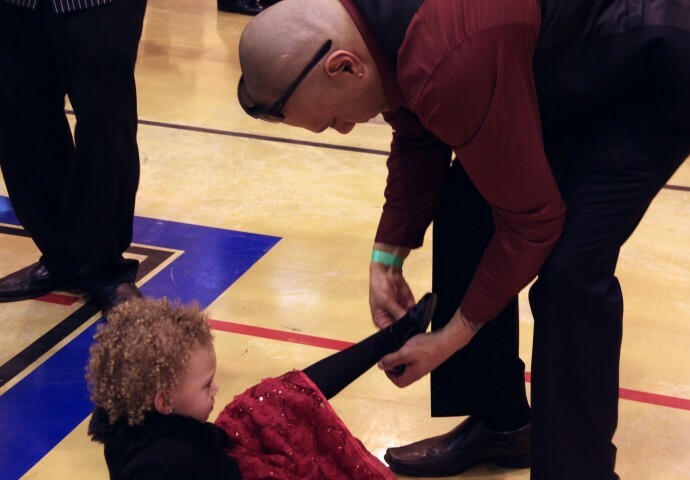 Chris Lamson helps his daughter Madyson put on her shoe after two hours of dancing. Daughters showed off their hip-hop moves in a dance competition against their dads. 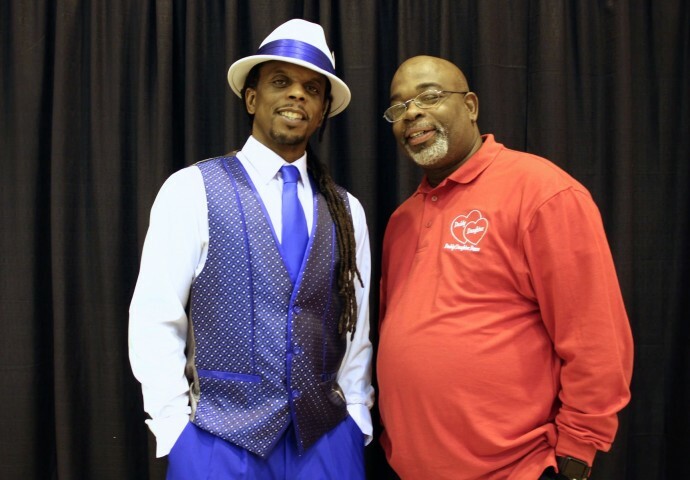 Co-directors of the Milwaukee Fatherhood Initiative Dennis Walton (left) and Dell Williams strike a pose. 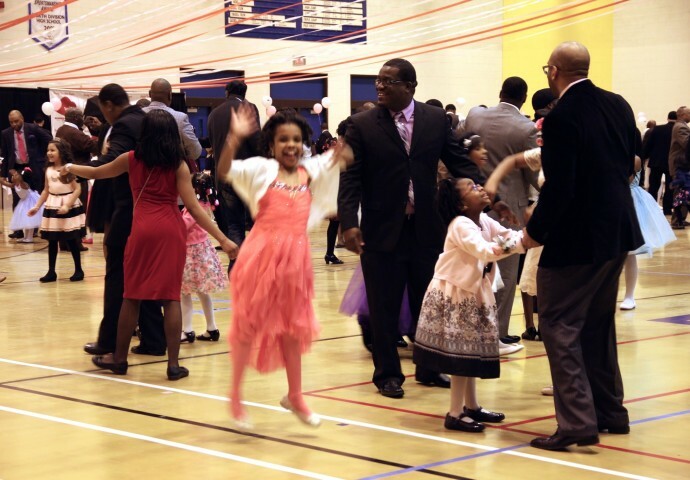 The annual "Daddy Daughter Dance" is a memorable experience for both fathers and daughter, allowing fathers to celebrate being a parent. 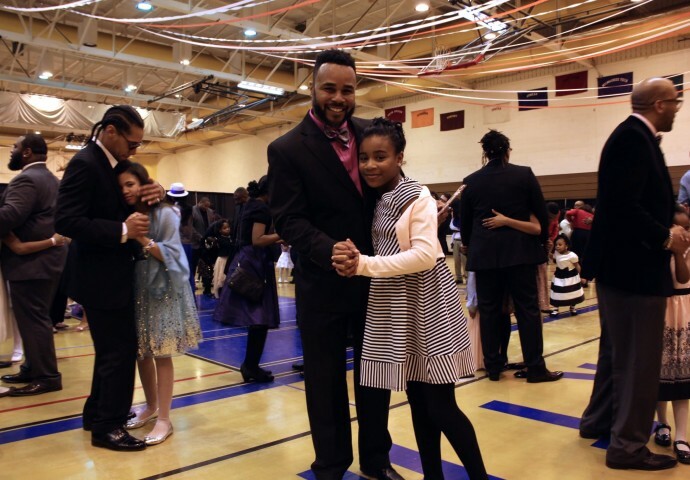 Greg Griffin (left) and his daughter, Sydney (right) pose in the middle of a father-daughter "signature" slow dance. 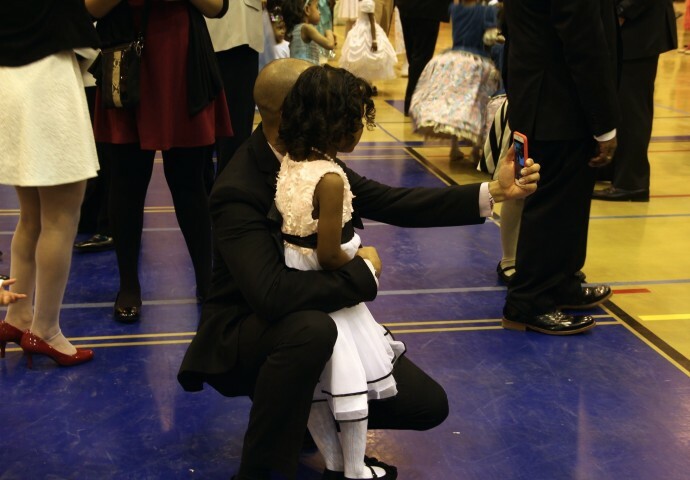 A father takes a selfie with his daughter to remember the evening. 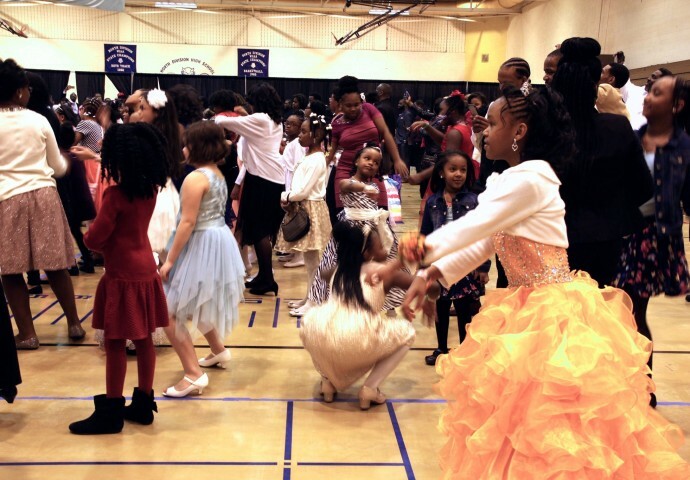 This year the "Daddy Daughter Dance" sold out for the first time. Over 900 attendees pose for a group picture before the night ends. 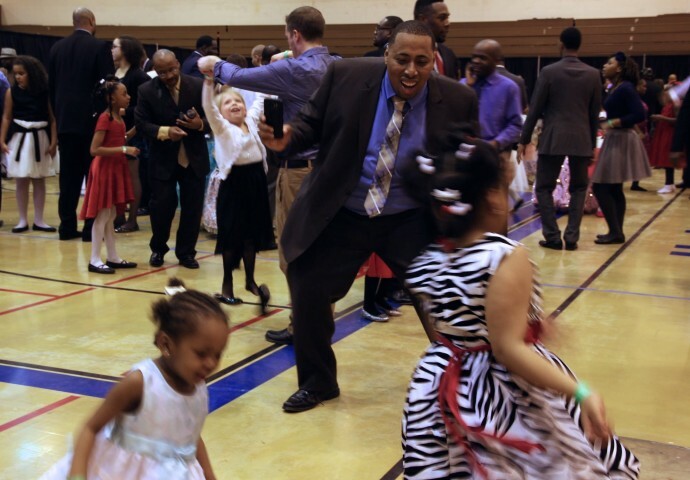 For the first time in its 13-year history, the Milwaukee Fatherhood Initiative’s Daddy/Daughter Dance was sold out, as approximately 900 people participated in the popular event at North Division High School. 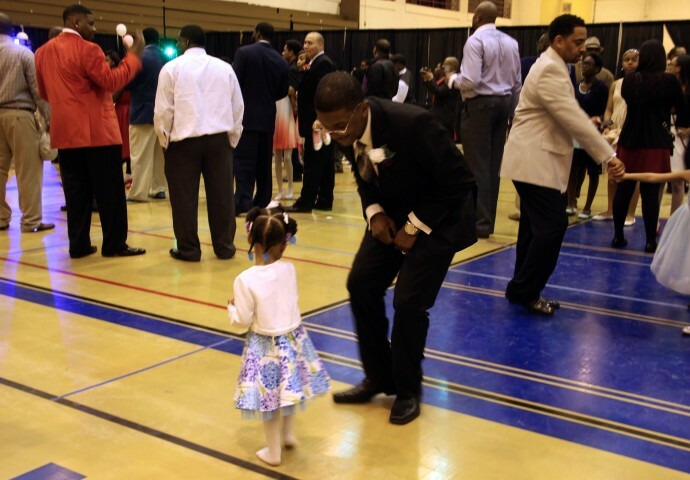 The Milwaukee Fatherhood Initiative, 5003 W. Lisbon Ave., hosts the annual dance to celebrate parenthood. Milwaukee Public Schools and the Social Development Commission partnered with the initiative to make the event possible. Dennis Walton, co-director of the initiative, said that the event provides a memorable experience for both dads and daughters. 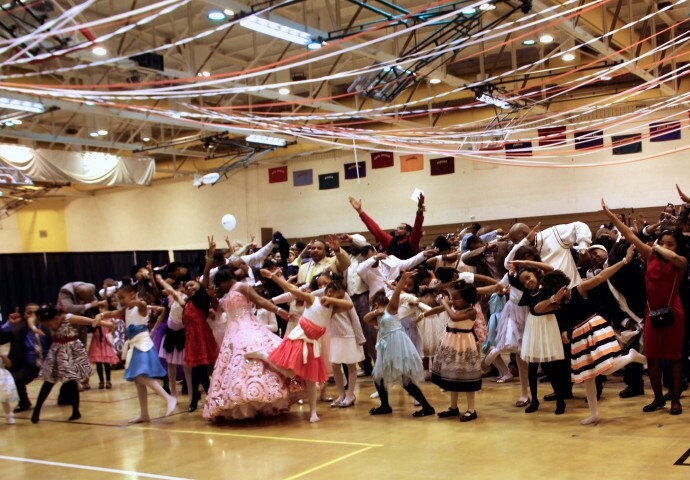 Every year it gets better and better to read about the Dads and Daughters Dance. My god daughter will be a year old in 2017, so I’m going to remind her parents so I can dress my chocolate drop in a beautiful dress for her so she and her Dad can attend….I can’t wait…. Thank you for always sharing this story.